Presidential Candidate Jay Inslee's Executive Order Undermined by Corruption Within the Washington State Department of Corrections. 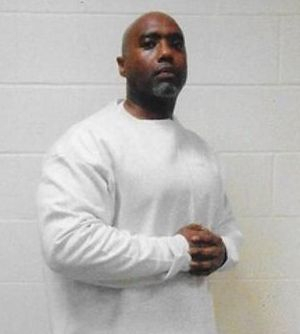 Washington State Department of Corrections undermines Jay Inslee's executive order and falsifies documents to keep Le'Taxione falsely imprisoned. "DOC’s practice of manipulating ASAM scores, in cooperation with embattled ABHS needs to be audited.” Le’Taxione states from Olympic Corrections Center camp. Presidential Candidate Jay Inslee has been one of Washington state' s most progressive and constitutionally sound governors in state's history. One of his crowning achievements being the wisdom and humanity he displayed in abolishing the state's death penalty, one of the reasons being “ it’s racially discriminative”, he stated in an interview. In his efforts to effectuate racial and judicial equality he also employed the clemency process as a parole board of sorts to give second chances to those who were sentenced under the states three strikes law but have earned a second chance. In the state of Washington African Americans are disproportionately sentenced under the three strikes law “ an issue that is made manifest by systemic racism” states Mr. Le’Taxione an incarcerated person that was granted clemency by Governor Inslee in 2016. Gang violence is prevalent across America, reaching epidemic proportions and its growth continues to befuddle society in its attempt to discover answers to the ‘American gang problem’. Various strategies of deterrence have been employed including recreational escapism, legislation, and imprisonment. But these tactics have proven ineffective because they do not adequately recognize the societal conditions that create gang members, nor do they effectively address the unique mentality that perpetuates negative and destructive gang behavior. N’STEP®, the Nine Steps to Empower Process, is an innovative, non-traditional and effective approach to gang violence prevention and intervention. N’STEP® fosters trust, willing cooperation, and enthusiasm in those who are a part of or susceptible to gang affiliation. It was created and founded in 2001 by Le’Taxione™, a Gangologist with a vision for utilizing his own experience and in-depth knowledge of gang life to make positive difference in the lives of gang members. 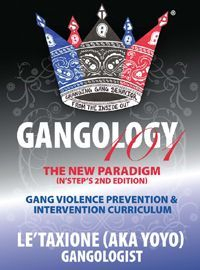 This gang violence prevention and intervention curriculum provides a revolutionary solution for youth caught up in the destructive aspects of gang activity. N’STEP® seeks to offer an effective approach to meet the needs of gang members and affiliates by helping them to become better equipped to make beneficial personal choices and to help shape a healthier society in their own home communities. 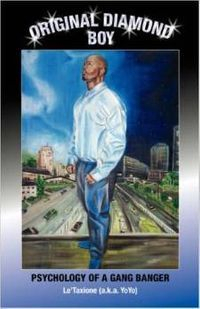 The N’STEP curriculum, and the companion text, “Original Diamond Boy: Psychology of a Gang Banger”, both authored by Le’Taxione™ (aka YoYo), are the cornerstones of the N’STEP® gang violence prevention and intervention process. During my 21 years - behind these steel curtains - I’ve watched the reality of being confined - without the cutaneous stimulation of a woman- break some of the strongest men- stripping them of their knowledge of civilization - forcing them into psychological caves wherein savages reside- and the character that they displayed- upon being confined - peeled away - exposing their intrinsic selves. Every time that I spoke with my mother- I expressed - “I’m coming home” - and though I know that she believed - I also know that she couldn't fathom how.